Camila Flamiano Domonoske covers breaking news for NPR, primarily writing for the Two-Way blog. She got her start at NPR with the Arts Desk, where she edited poetry reviews, wrote and produced stories about books and culture, edited four different series of book recommendation essays, and helped conceive and create NPR's first-ever Book Concierge. With NPR's Digital News team, she edited, produced, and wrote news and feature coverage on everything from the war in Gaza to the world's coldest city. She also curated the NPR home page, ran NPR's social media accounts, and coordinated coverage between the web and the radio. For NPR's Code Switch team, she has written on language, poetry and race. As a breaking news reporter, Camila has appeared live on-air for Member stations, NPR's national shows, and other radio and TV outlets. 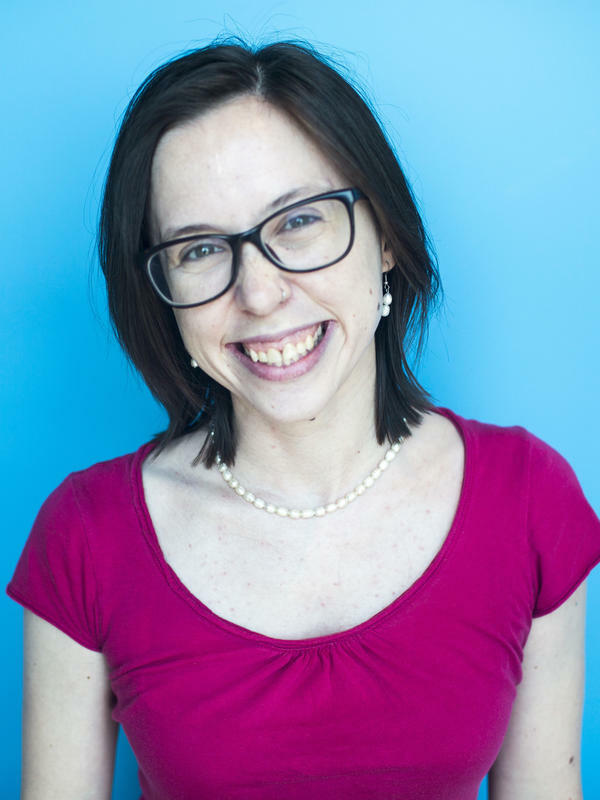 She's written for the web about police violence, deportations and immigration court, history and archaeology, global family planning funding, walrus haul-outs, the theology of hell, international approaches to climate change, the shifting symbolism of Pepe the Frog, the mechanics of pooping in space, and cats ... as well as a wide range of other topics. She's a regular host of NPR's daily update on Facebook Live, "Newstime." 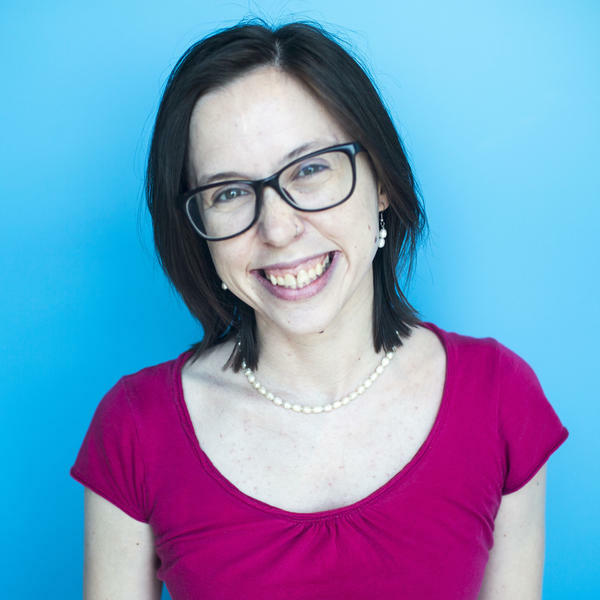 She also co-created NPR's live headline contest, "Head to Head," with Colin Dwyer. Every now and again, she still slips some poetry into the news. Camila graduated from Davidson College in North Carolina. 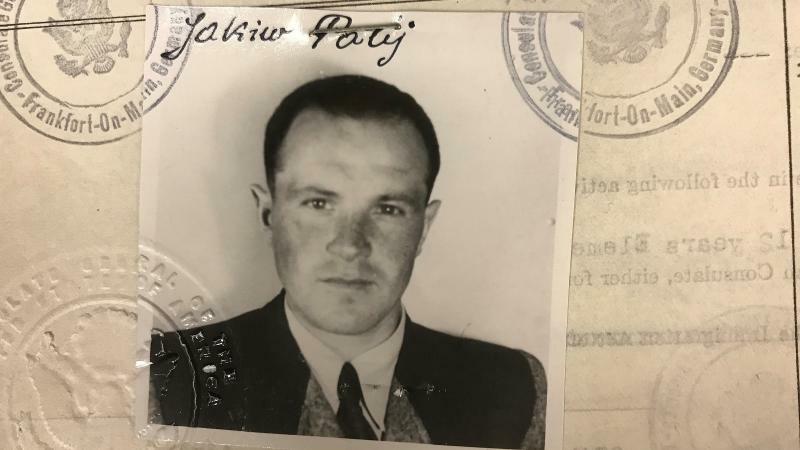 U.S. officials say a 95-year-old former Nazi labor camp guard named Jakiw Palij who lied about his wartime work when he immigrated to the United States has been deported to Germany. Palij, who lived in Queens in New York City, was investigated and denaturalized more than a decade ago. His deportation was ordered in 2004. But for years, no country would take him in. On Monday, he was sent to Germany, according to the State Department. The Department of Justice says Palij is the 68th Nazi removed from the U.S.
Cascades of tears. Lingering hugs. Family photos. And questions that have burned unanswered for decades. 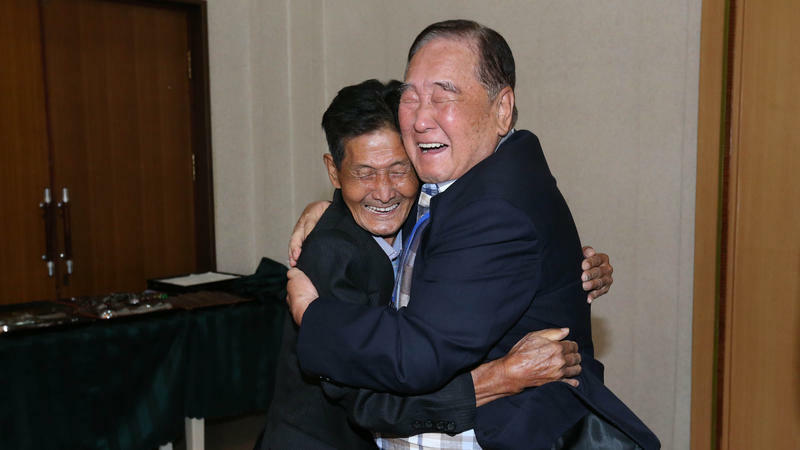 For the first time in three years, North and South Korea are holding family reunions, allowing a small number of South Koreans to travel across the fortified border to the North to reunite with loved ones they haven't seen since the 1950s. 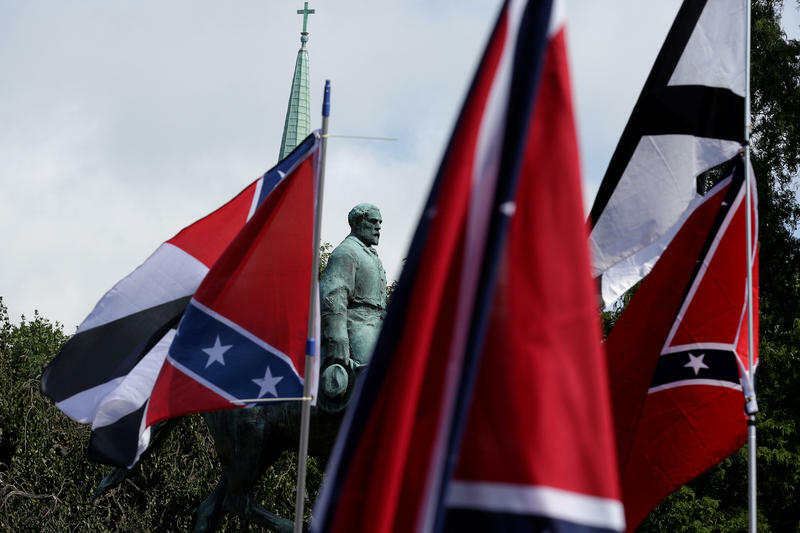 Such reunions have been held intermittently since the '80s and have resumed as relations between the North and South are thawing. Italian actress Asia Argento, one of the most prominent voices in the #MeToo movement, paid $380,000 to a man who accused her of sexually assaulting him when he was 17, according to a report by The New York Times based on legal documents anonymously leaked to the paper. A federal judge has sentenced Esteban Santiago to life in prison for carrying out a 2017 shooting in a Fort Lauderdale, Fla., airport that killed five people and injured six others. 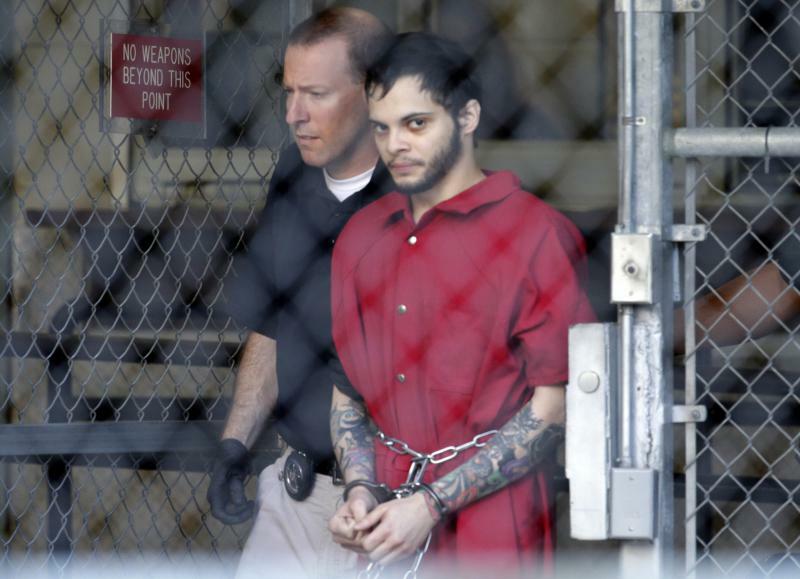 U.S. District Judge Beth Bloom called Santiago's attack "85 seconds of evil" when she announced the sentence Friday. Santiago had accepted a plea bargain, admitting guilt on 11 charges in exchange for prosecutors declining to seek the death penalty. Seven years ago, Florida Gov. Rick Scott killed a federally funded project to build a high-speed train between Tampa and Orlando. Scott now supports the idea of a similar train route — fueled by private investment instead. And the governor and his wife have invested millions of dollars with a company that stands to profit off such a project, as first reported by the Miami Herald. 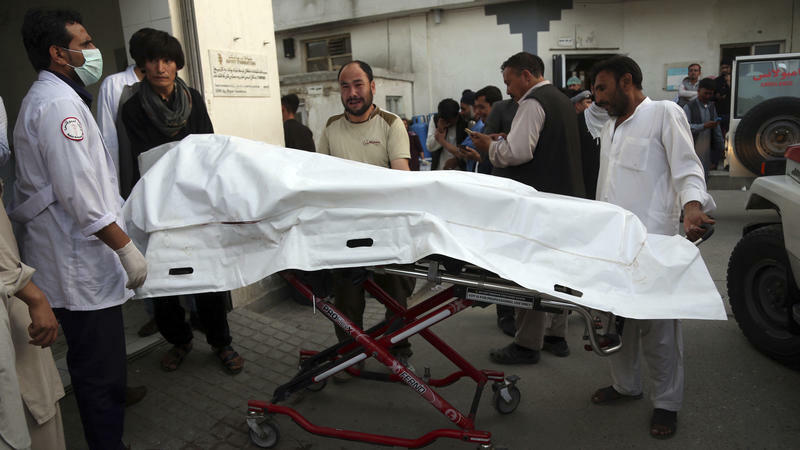 A suicide bombing in Kabul on Wednesday killed dozens of teenagers studying for university entrance exams at an educational center in a Shiite neighborhood, according to wire reports. 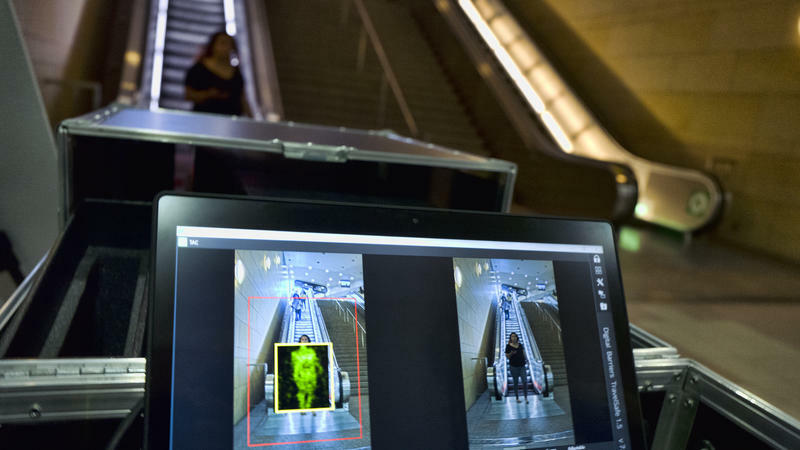 Los Angeles' public transit system has announced that it is the first in the U.S. to purchase millimeter wave scanners to screen Metro riders for suspicious objects as they move through stations. 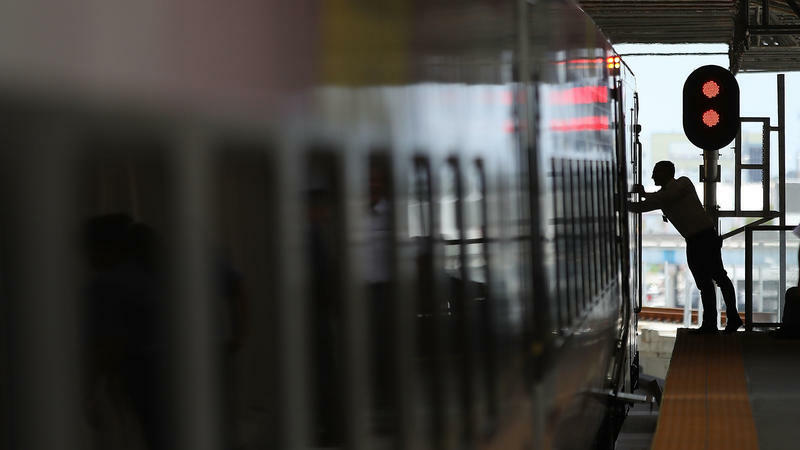 The technology "will help detect weapon and explosive device security threats on the county's transit system," the system says in a joint press release with the Transportation Security Administration on Tuesday. A spokesman for the LA Metro tells NPR that the system has ordered several units, at approximately $100,000 each. Dozens of cars were set on fire overnight in western Sweden, in a series of attacks that Swedish authorities suspect may have been coordinated on social media. 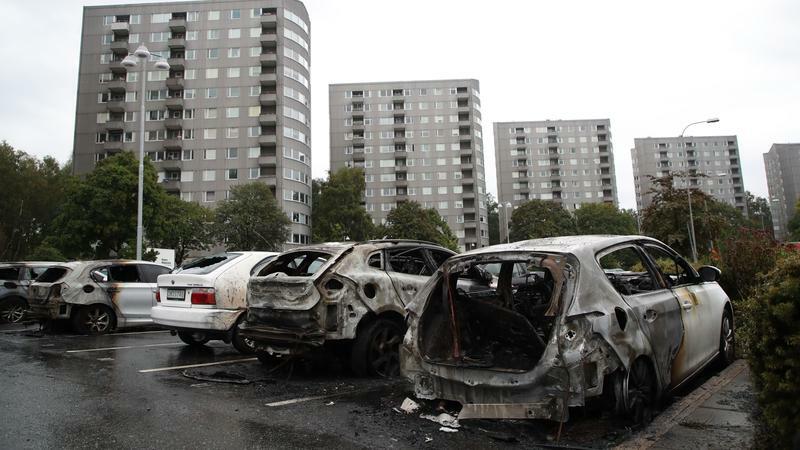 Up to 80 cars were torched in Gothenburg, Sweden's second-largest city, as well as other nearby towns, Radio Sweden reports. Authorities say that groups of masked young people are responsible. And the country's leaders are not happy. French Theme Park Asks: Crows Can Pick Up Trash, Why Can't You? 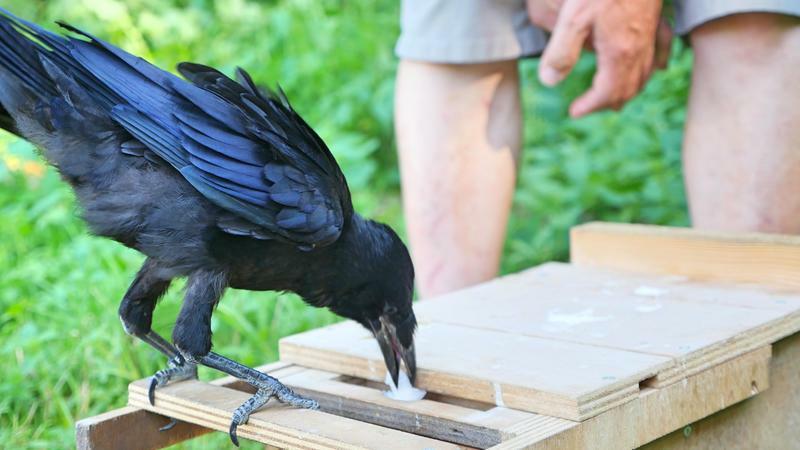 This week, the Puy du Fou theme park in western France put some new employees in the field: six trained rooks, members of the crow family, picking up small pieces of paper and cigarette butts in exchange for food. Boubou, Bamboo, Bill, Black, Bricole and Baco officially started their new gigs on Monday. For the record, the park would like to note, the corvid colleagues are not replacing any human cleaning staff. For three days in a row, throngs of protesters took to the streets in Romania's capital city, Bucharest, to protest what they see as a corrupt government and to call for new elections. 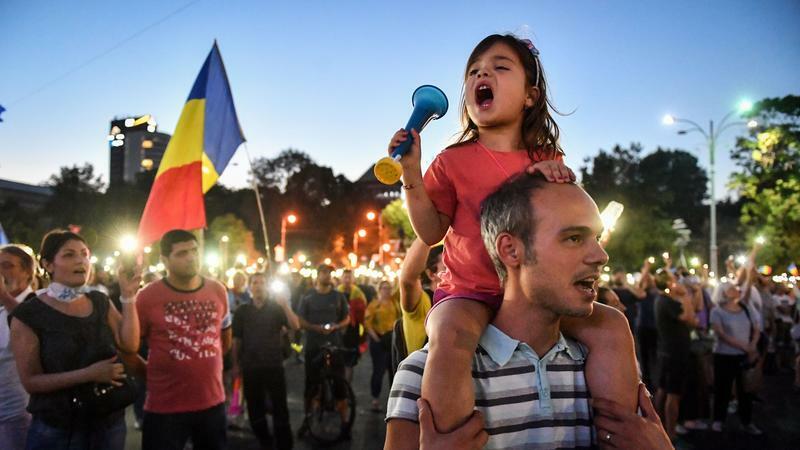 Tens of thousands of people rallied Friday on the first day of demonstrations, which were largely organized by Romanian expatriates who came home to demonstrate en masse; some estimates put the crowd at 100,000. 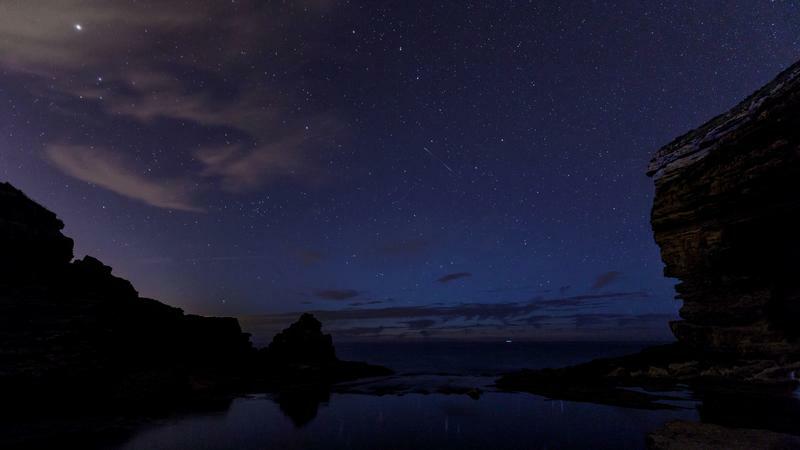 Every summer, the Perseid meteor shower brings a cascade of shooting stars to the night sky. And this year, it has done us all the favor of arriving right after a new moon — allowing the meteors to show off without lunar competition. The meteor shower will peak late Sunday night and early Monday morning, but you can also catch a good number of meteors in the middle of the night on Saturday. So if you happen to be out late this Saturday, take a moment to look up. 9-Year-Old Chess Prodigy Will Be Allowed To Remain In U.K. 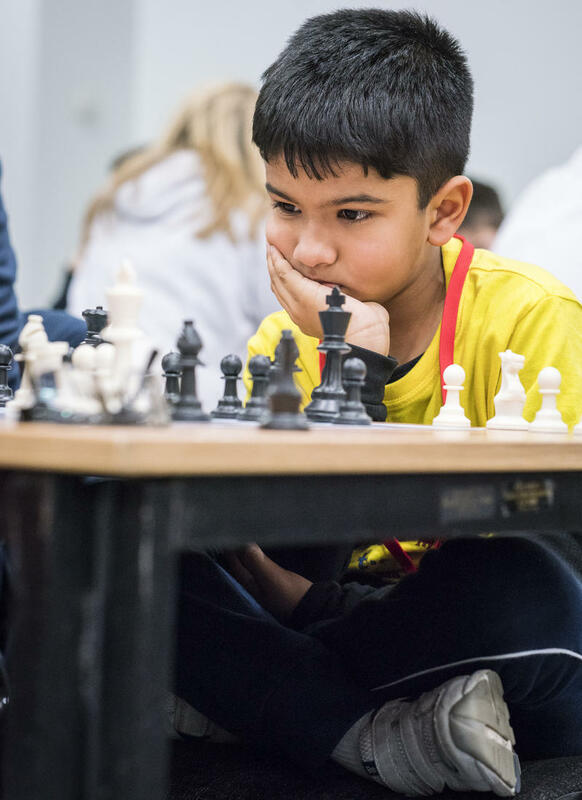 The United Kingdom has decided to allow a 9-year-old chess prodigy to remain in the country, after his father's work visa expired and his family faced deportation back to India. Shreyas Royal is "very delighted" with the news, his father tells NPR by email. 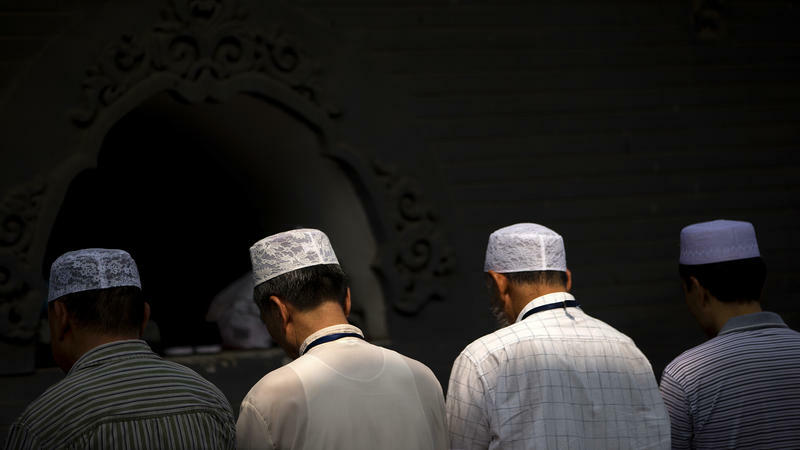 Thousands of members of China's Hui Muslim minority have gathered at the site of a mosque in Weizhou, in northwestern China, in an attempt to block the government from demolishing the building. Protesters told some reporters that the government proposed altering the building to make it look more traditionally Chinese, instead of demolishing it, but that the Muslim community rejected that proposal. 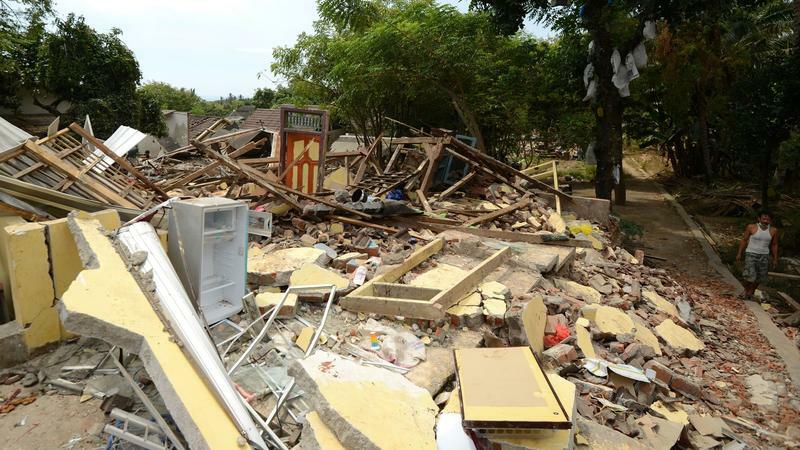 Damaging aftershocks continue in Indonesia days after a powerful earthquake hit the island of Lombak, as the country struggles to care for the injured and displaced and the death toll rises into the hundreds. Indonesia's top security minister says the death toll from the earthquake on Sunday has risen to 319, according to The Associated Press. The country's disaster mitigation agency says the death toll is at least 259, Reuters says. The chief of a search and rescue agency told the AP the death toll is at 227 as of Thursday. 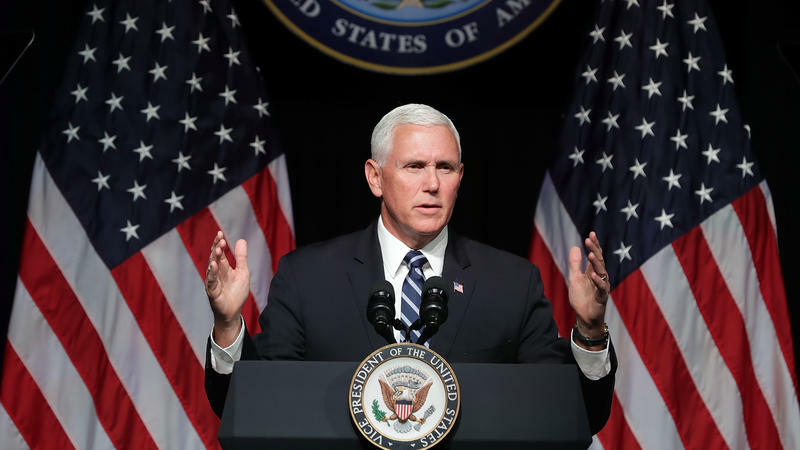 Vice President Pence described the White House's plans for a Space Force, a sixth branch of the U.S. military that would be responsible for operations in outer space, in a speech on Thursday. The White House says that the Space Force will be created by 2020. The change, which would require approval from Congress, would be a dramatic change in the organization of the Defense Department. "We must have American dominance in space, and so we will," Pence said in his speech at the Pentagon. This week, the nation's capital is mourning the death of Valor. 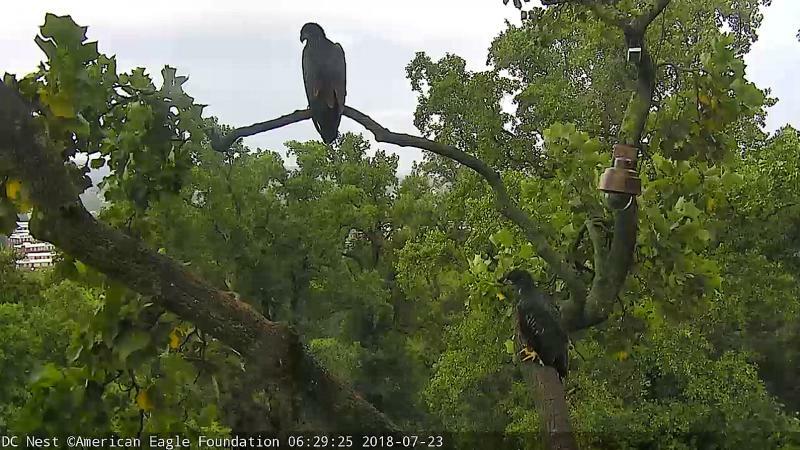 Valor was one of two young eaglets in a nest at the National Arboretum in Washington, D.C., that is monitored by a popular 24/7 webcam. He fell from the nest in the middle of the night on July 26. The Southern California Gas Co., or SoCalGas, has agreed to pay $119.5 million in a settlement with several government entities over the company's massive methane natural gas leak in 2015 and 2016. The settlement still needs to be approved by the courts. 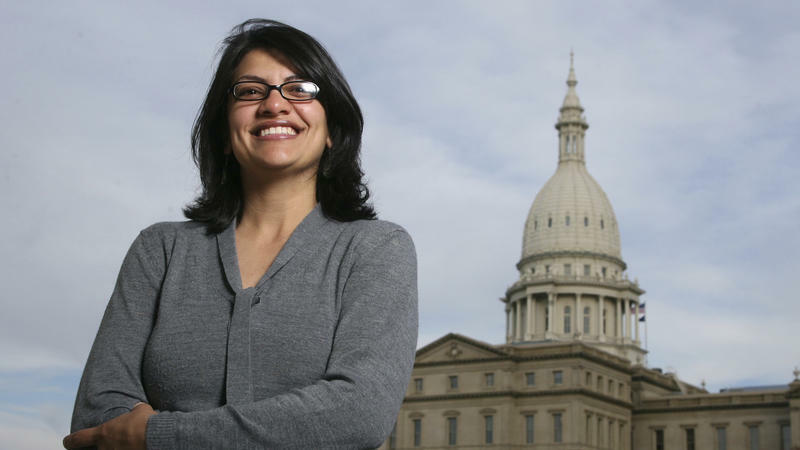 Rashida Tlaib has some experience being first, and not just because she is the eldest of 14 children. As the daughter of Palestinian immigrants, she was the first person in her family to earn a high school diploma — then a college degree, and a law degree. She was the first Muslim woman ever elected to Michigan's Legislature, where she served in the House for the maximum term of six years. And in January, she is set to become America's first-ever Muslim congresswoman. 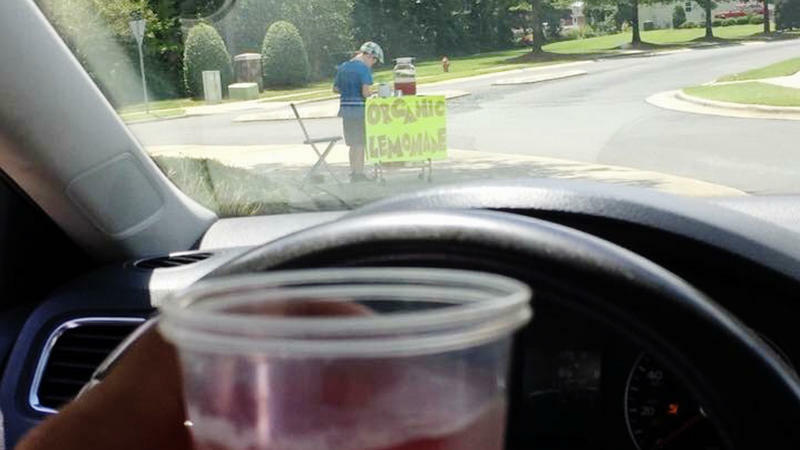 A federal judge in California has ruled that a confidential messaging app must release the identity of a user who is accused of helping plan violence at a white nationalist rally last year in Charlottesville, Va.
Law enforcement officers in Union County, N.C., are searching for the teenager who carried out the armed robbery of a child's lemonade stand over the weekend. The 9-year-old was robbed around 3 p.m. on Saturday, in the town of Monroe. "The suspect allegedly stuck a black handgun to the boy's stomach, demanded money and fled the scene on foot," the Union County Sheriff's Office said in a statement. Public information officer Tony Underwood tells NPR that the robber got away with $17. 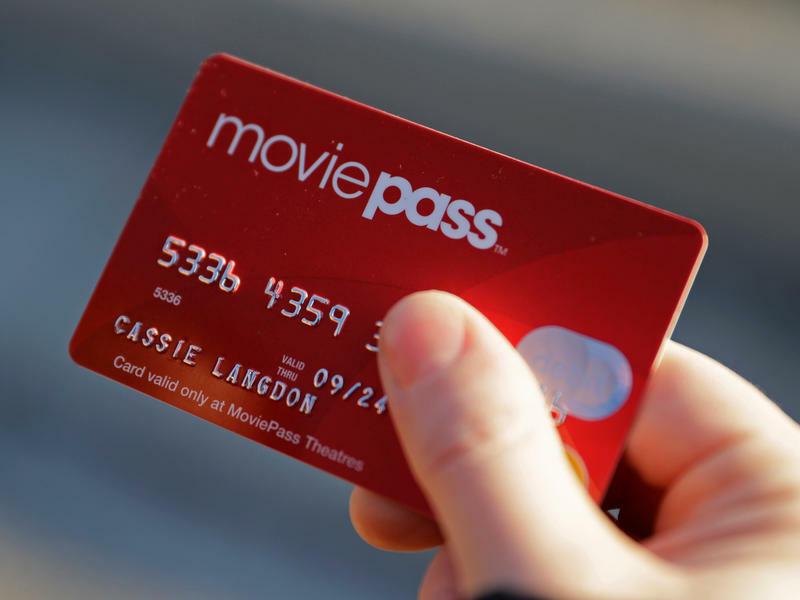 Movie theater subscription service MoviePass will not be raising prices, as it had announced last week, but will instead be capping the number of times that subscribers can visit movie theaters. For $9.95 per month, MoviePass subscribers used to be able to see a movie in theaters every day, if they so chose. Beginning on August 15, the service will instead provide three movies per month. 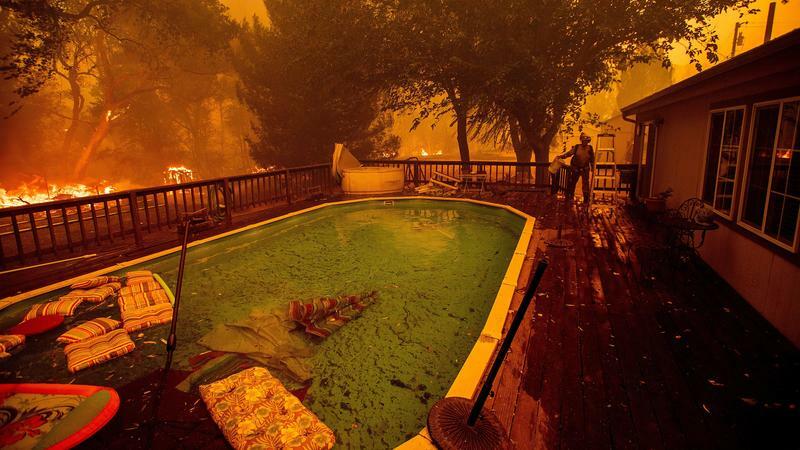 As firefighters work to contain a deadly wildfire in Northern California, now the largest in the state's history, another fire is rapidly expanding, threatening new communities and prompting fresh evacuations. As the sun rose over Idaho on Friday, residents of suburban West Boise awoke to find some noisy new neighbors horning in on their yards: goats. 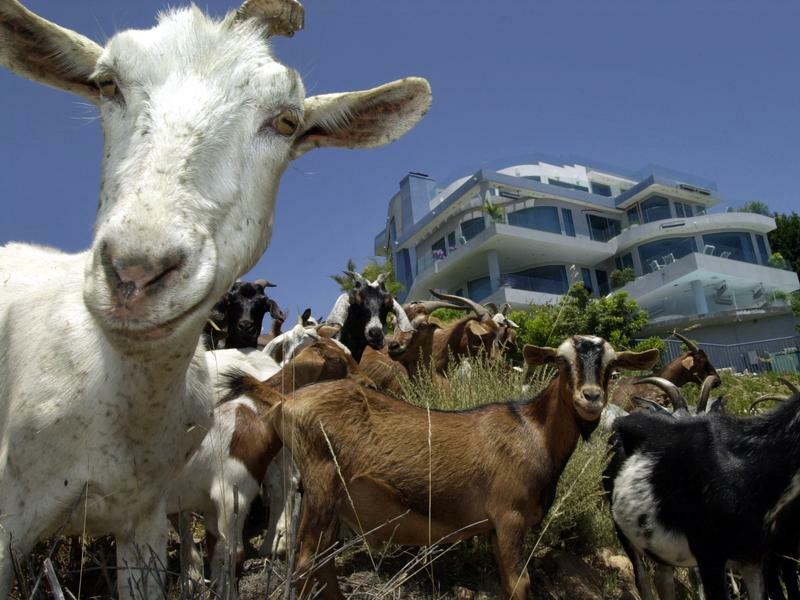 A teeming host of hungry, grunting goats. Local reporter Joe Parris got the scoop, tweeting a photo of the horde on hooves. They were unsupervised — no handlers, no herding dogs, not even a nanny. "Updates to follow," he promised. 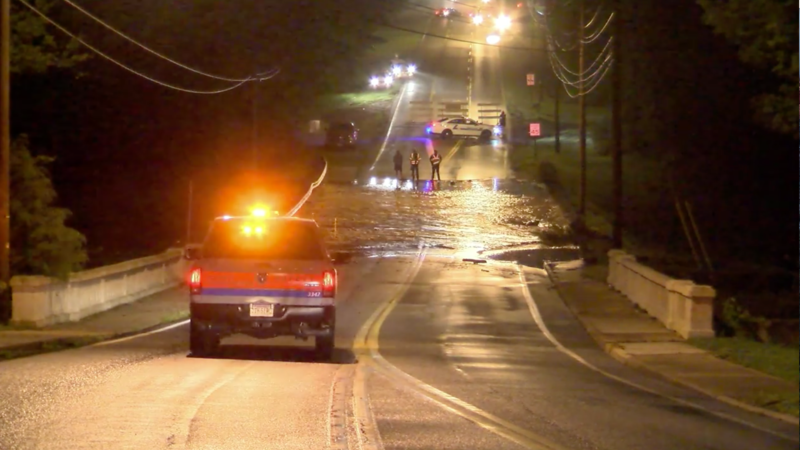 Concerns Of Dam Failure Prompt Evacuations In Lynchburg, Va.
More than a hundred households have been evacuated from their homes in Lynchburg, Va., after heavy rains amid concerns that an aging dam might fail and unleash dangerous floodwaters. Video posted by the city overnight showed water flowing over the dam and into Blackwater Creek. 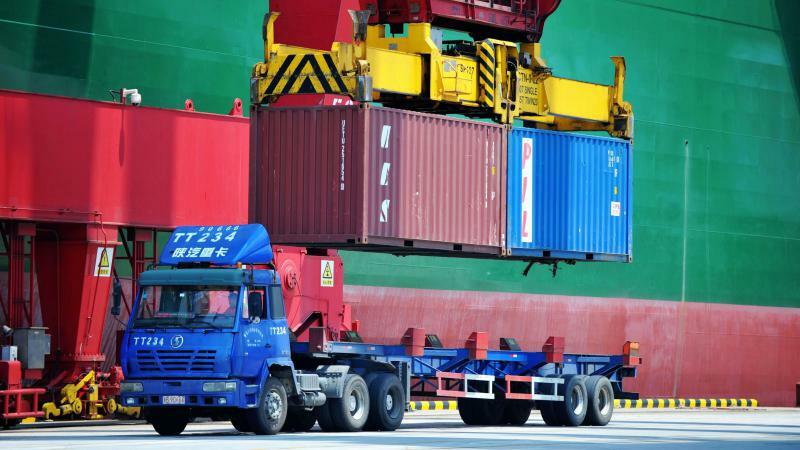 China has announced a plan to impose new tariffs on $60 billion of American goods, in retaliation for the latest tariff threats from the Trump administration. Earlier this week, the White House said it was considering boosting tariffs on $200 billion worth of Chinese goods, raising those tariffs to 25 percent from 10 percent. That particular set of tariffs has not yet taken effect.